Clever Age Lyon currently employs over 20 consultants and operates in the Rhône-Alpes, Auvergne and Provence-Alpes-Côte-d’Azur regional markets. The in-house skills and expertise make it possible to provide answers and valuable assistance throughout the digital strategic thinking process and with the resulting technical creations. Clever Age Lyon now has some very nice references of all types and sectors — startups as well as large corporations — at every step of the digital journey. 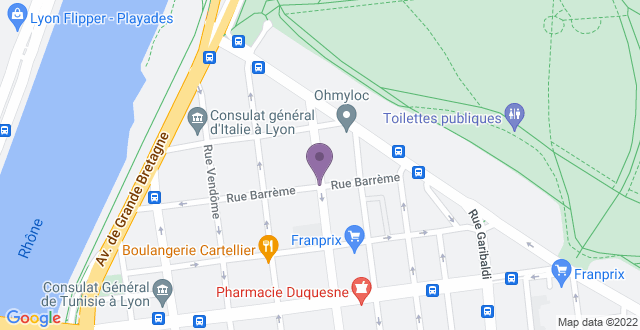 We will be happy to welcome you in our new offices located in Lyon’s 6th arrondissement near the Parc de la Tête d’Or. Take either bus 38 or C1 from the train station (by the commercial center). Get off at the 'Muséum' stop, then walk down rue Barrème until the corner with rue Duguesclin.